$669.00 each List: $892.00, You Save: $223.00! The superb quality of sound and clear functionality makes the Pro10 Studio a logical selection for high school or college percussion departments. A stylish strainer design with custom snare system, as well as 2.3mm hoops and boisterous 15-ply maple shell. 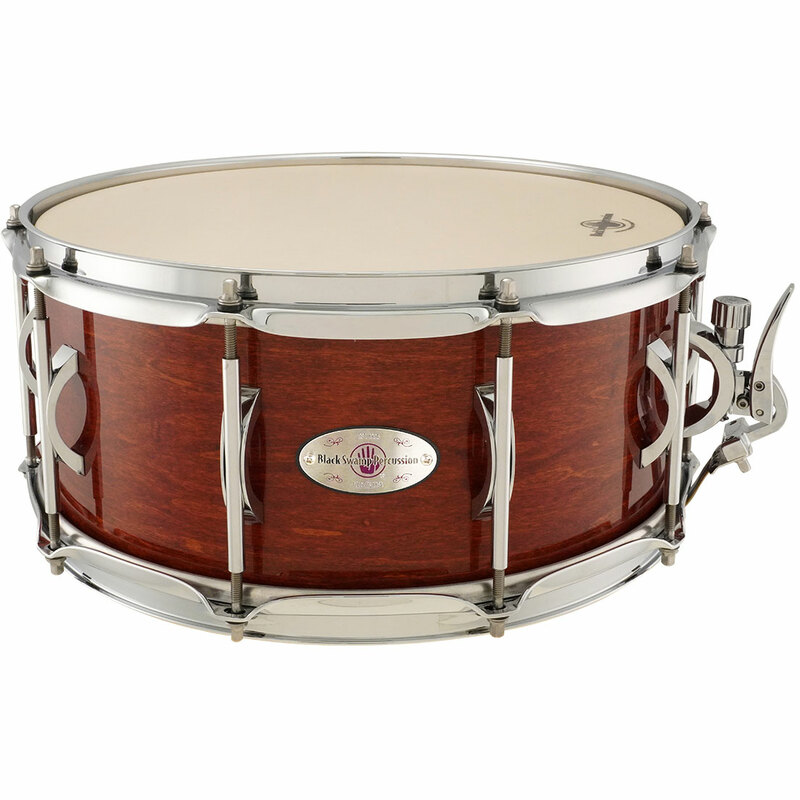 Lugs and Finish The custom Mahogany Finish is only available on the Pro10 Studio. The custom arch base lugs are a modern twist on the classic tube lug. Progressive Tension The modern strainer design masters the concept of truly progressive tension, with a snare system increasing control over response and sensitivity. Custom Snares A single snare unit comprised of gold, blue and stainless cable can be adjusted to varying degrees of tension. The tension lever can then be locked in place to preserve the desired setting. Shells and Hoops The 15 ply maple shell and 2.3mm hoops combine to produce a broad, commanding sound without being overbearing.